When you first started sewing, a standard at-home sewing machine was fine. 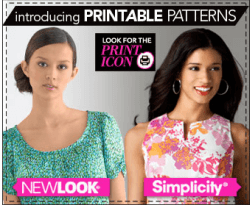 It helped you to complete simple sewing projects, and did what you needed it to do. But now you want to tackle bigger projects, and experiment with using thicker, heavier fabrics like canvas or denim. 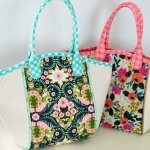 You can try working with these heavy materials using the sewing machine you have now. But there’s a good chance your machine is too light and too slow. You need a faster, sturdier machine built to handle big jobs. Well, here are two heavy duty sewing machines that might be exactly what you need. If you need a machine that can sew through just about anything, check out the SINGER 4423 Heavy Duty Extra-High Sewing Speed Sewing Machine. This machine weighs in at over 14 pounds, meaning it’s unlikely to tip over no matter how thick and heavy the fabric you’re using is. And the heavy-duty metal frame will keep the sewing machine from moving around on your work surface. One great feature is the 23 built-in stitches, including 6 essential stitches and 12 decorative stitches. It’s hard to imagine needing a stitch that the Singer 4423 doesn’t have. An automatic needle threader, to save you time and frustration. The automatic one-step buttonhole, which allows you to apply buttons with ease. The automatic presser foot pressure control, which makes adjustments automatically, so you don’t have to. 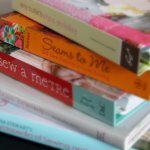 Three needle positions, so you can choose the perfect needle position for each individual project. 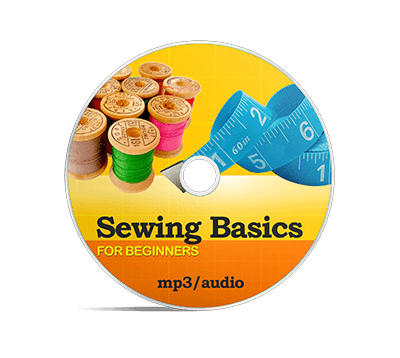 Singer is a well-known name in the world of sewing and crafting. And the Singer 4423 Heavy Duty Extra-High Sewing Speed Sewing Machine carries on the tradition of being an affordable sewing machine that’s easy-to-learn and easy-to-use. There were however a few negative reviews for this machine from customers which you can check here. We would recommend the Janome HD1000 below over the Singer. 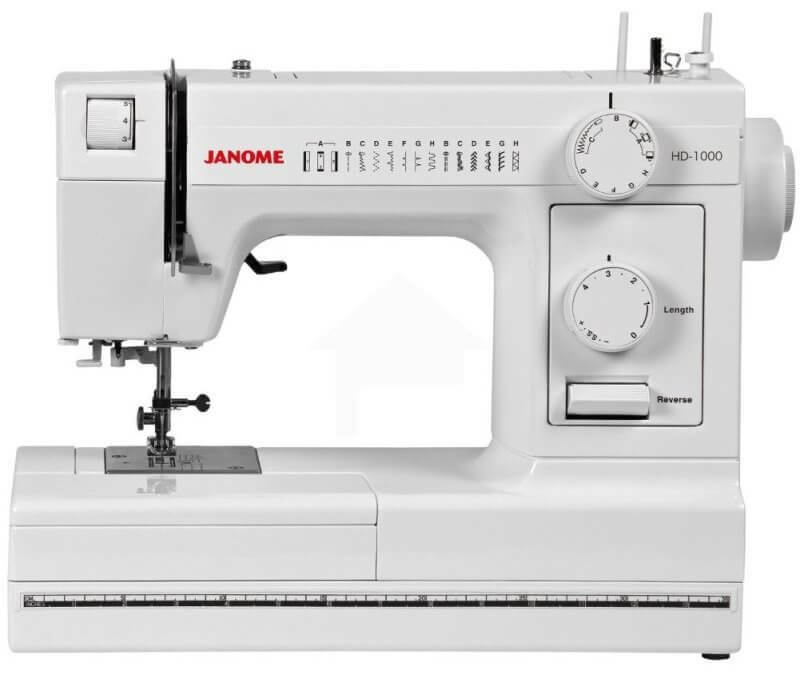 The Janome HD1000 Heavy-Duty Sewing Machine is a sturdy and dependable machine that weighs in at 15 pounds, and can be used on a wide variety of tough, heavy fabrics. This machine can even sew fabrics like thick leather, as long as you have the right needles and accessories. The Janome HD1000 has 14 built-in stitches, and it’s easy to switch from one to another thanks to the clearly visible stitch selector. Also, if you remove the storage compartment, you’ll have a free arm that you can use to sew small openings, like the sleeve or collar of a shirt, or the hem on the leg of your favorite pair of jeans. You can even use the free arm for darning. A body made of cast aluminum, giving this sewing machine some extra durability. A storage tray, to help you keep track of your most-used sewing supplies. A built-in, four step buttonhole. 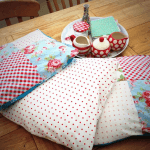 Those new to sewing might not be familiar with the Janome brand. But millions of sewers and crafters rave about Janome products. And the Janome HD1000 Heavy-Duty Sewing Machine is no exception. If you’re looking for a sewing machine that can handle the toughest fabrics, but is easy to use, the Janome HD1000 Heavy-Duty Sewing Machine should definitely be on your list of options. 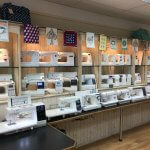 If your looking for a good and affordable heavy duty sewing machine, the Singer 4423 Heavy Duty Extra-High Sewing Speed Sewing Machine and the Janome HD1000 Heavy-Duty Sewing Machine are hard to beat. In this article you state the Singer 4423 is one of the two best heavy duty machines. 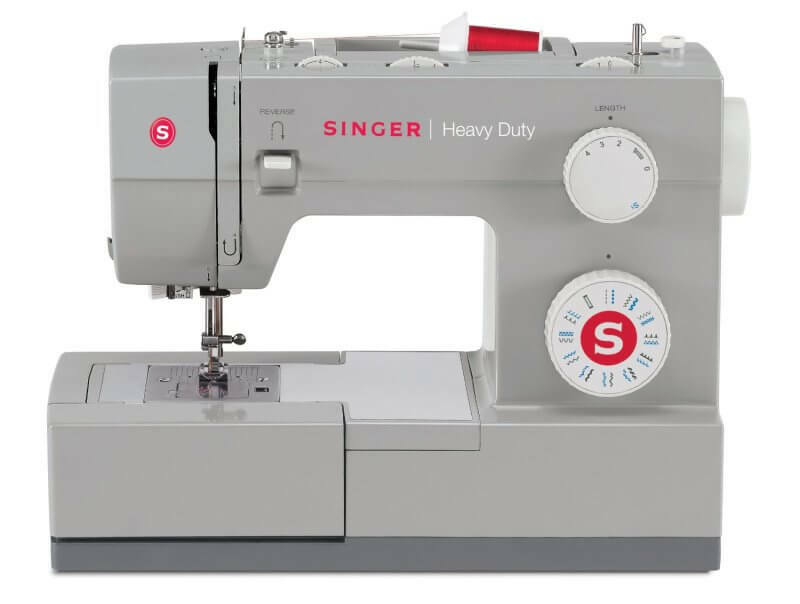 But in your review http://www.sewmyplace.com/review/singer-4423-heavy-duty-model-sewing-machine/ you say that it’s not worth the trouble and look for another machine. Thanks for pointing that out. We prefer the Janome over the Singer although lots of people are happy with their Singer there are also quite a few people who aren’t. The Singer is still a good machine but we think the Janome is a safer bet. I have updated the post to reflect that.